Do you have a store in Maplestory? Or you have hired a merchant? 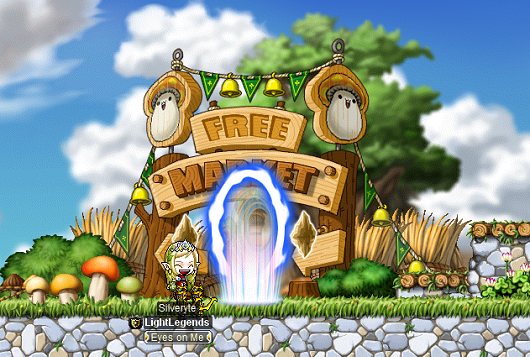 This guide will help you to be a successful merchant in Maplestory. Follow these steps! This is the requirement to buy Store Permits and Hired Merchants. 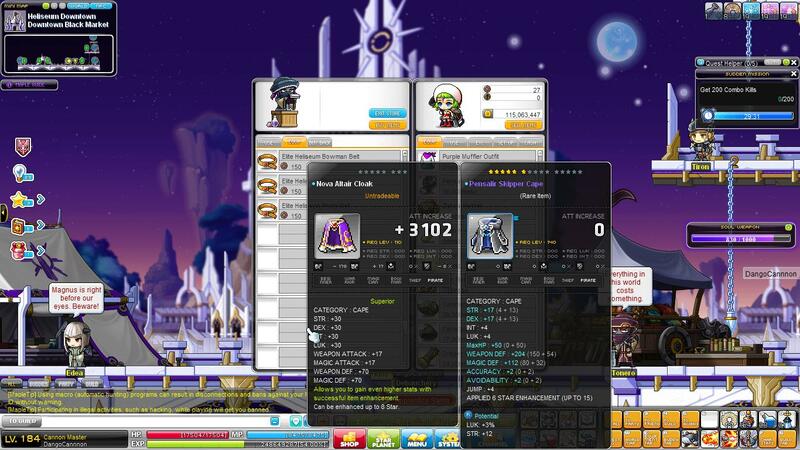 If you're new to MapleStory, head over to Henesys to train on Blue Mushrooms. You'll earn money from training there because the mushrooms drop Bento Boxes, which can be sold to an NPC for 1k. You can go to the Cash Shop and buy one. If you don't have NX, do some surveys and offers on the Nexon website or sell items on MTS until you have at least 1,800 NX. Hired Merchants are useful if you are going to get grounded, you have an unstable Internet that is weak, you're going on a holiday, or you don't have access to MapleStory often.You can get it for around 1,000 NX per day and you can buy more than 1 at a time. Regular Store permits are perfect for new merchants and players with a stable Internet. The permits cost 1,800 NX for 3 months (20 NX per day, have 16 slots). Holiday Store Permits are 3,600 NX for 3 months and they have 24 item slots. You can't have a store without items! You can hunt monsters for Hidden Potential items, do quests for items and money, buy scrolls from people, and if you had done The Fallen Woods Quest, you can buy All Cures, Icicles, Return to NLC Scrolls, and Diamond Arrows. Jane's quests can give you GFA scrolls 60% that you can sell for ten to fifteen million. If you are level thirty or higher, you can learn a professions and sell your creations. With Herbalism, you can manufacture herb and flower oils to sell to lazy alchemists. You can also merchant Herb Roots and get free herbs when you collect one hundred Herb Roots. If you stumble upon a Golden Herb, harvest it! Rarely, Primal Essence, that can sell up to one hundred fifty million may drop. Mining is one of the most popular professions. The most popular minerals are Gold, Bronze, Diamond, Garnet, Mithril, and Adamantium. You can trade in one hundred Ore fragments for seven random ores. Just like Golden Herb Roots, Primal Essence drops from Heart Stones. Smithing lets you create weapons and armor for yourself and other people. Some of the most profitable items are androids (Female ones are more profitable, since a lot of players wants girls following them), throwing stars, and most of the level 120+ items. Accessory Crafting lets you sell accessories. This is the most profitable professions, as you can make from one million (for an earring with 3% of any stat) to around two billion (for an earring or pendant with Legendary Potential that has 36% luck or all stats combined) Most players love to make Half Earrings for potential and sell them in the Free Market for up to seven hundred fifty million mesos, and drop or fuse the ones without potential. Alchemy allows you to create potions. Try to sell pills, as you can carry more pills than potions. You can also set up fusers in Crafting Town. New alchemists would fuse sneakers from the Henesys Market to gain EXP and sell the ones with potential for a few million mesos. You can find new players selling their items for cheap prices. If there is a player who offers you an item for an expensive price, haggle with them. Say "Hi" when the trade window opens and say thanks when you finish trading. This will help you build your reputation as a merchant while getting the items you want. This also works with Gachapon winners too, however, you may annoy them. Channels two and three are the best spots to set a store. Channel one is better, but you may be disconnected by hackers. Pay attention to patches and get a spot first thing after it's finished. If you find a good spot in Channel one, sell it for five to twenty million. If you find a less busier spot, you can still make a profit, but sell it for cheaper prices. Choose one that actually describes the items that you're selling, such as "Empress Equipment" or "Cheap Mastery Books". Not a lot of people wants to buy from a store called "I like Pie" or "In Soviet Russia, Car drives You!". You can smega (super megaphone) a message about your store. You can buy those in the Cash Shop, the cheapest one being 400 NX for a Skull Megaphone (red border, no icon in top right corner. Some smegas sell for over 2,500 NX (Super Megaphone, your avatar in top right corner, plus an advert on Maple TV (the tv in most cities that talks about things such as the Big Bang patch, Friend Finders, and losing EXP) Remember to put the channel and FM in your ad, or your customers can't find your shop. If you want your ad to be super effective, say something interesting or attention attracting, but don't lie and claim the items in your shop are one meso or you risk annoying customers. You may sell out fast, or go as far to making a marketplace. Have no store? Get one with our guide! Want more MapleStory guide? 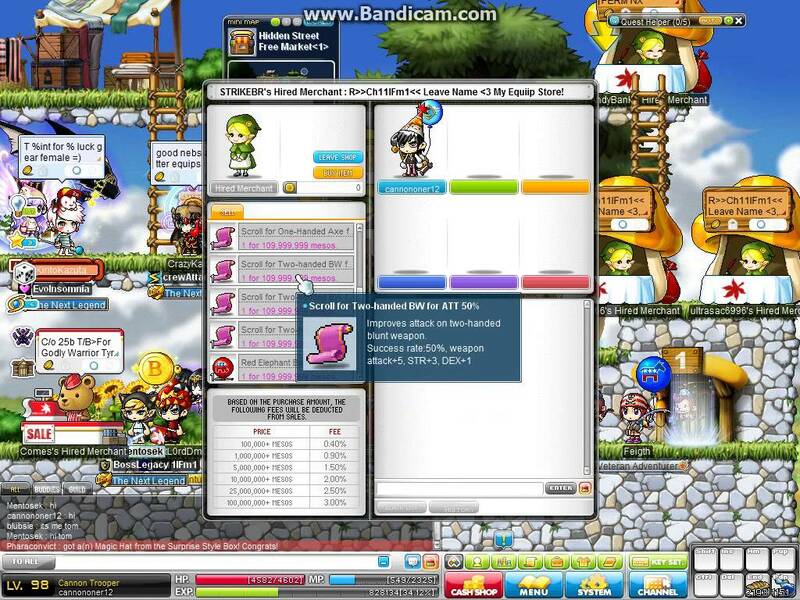 Check back for more MapleStory tips that will help you improve your game! You can also buy cheap Maplestory 2 Mesos with affordable price. If you buy MapleStory 2 Account here, you will get fast delivery and best service.